I bought a pair of Nike Air Max 2016 a little under 2 years ago. They have been great, with the exception of the Fly Wires. Which seem to have a design flaw, causing them to break. 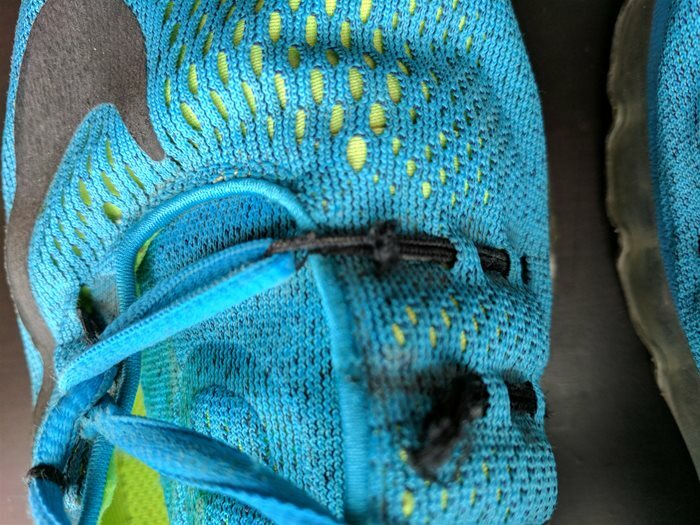 The design flaw is that for the 2016 model year the first 2 holes at the front of the shoe are not supported by the uppers, they are only fly wires. Unfortunately the friction between your laces and the fly-wires eventually causes them to break. See photos below. The strange thing was this was only happening on 1 shoe. I thought that maybe the fly wires were replaceable, but they are not. Fortunately Nike has a warranty on their shoes for defects like this. Keep in mind it does not cover normal wear and tear, so if you have a destroyed pair of Air Max at home, they probably won't cover them. I did my best to keep my shoes clean. Never went mud running in them, and when they did get dirty I would take out the insoles and wash them with soap and water, then air dry them. also the Air bubble was in excellent condition. I am not sure if their warranty applies to all their shoes, but in my case my shoes had a 2 year warranty. The warranty is based on the manufactured date, which you can find printed on the tag on the inside of the shoes. I found that I only had 2 months left to make a warranty claim, before I was out of luck. I went online to made a Warranty claim request through Nike's website. They then sent me a shipping label. I had to pay the postage to get the shoes to nike. Then about a week later I got an email from Nike saying they received my shoes and are going to issue me a Store Credit. 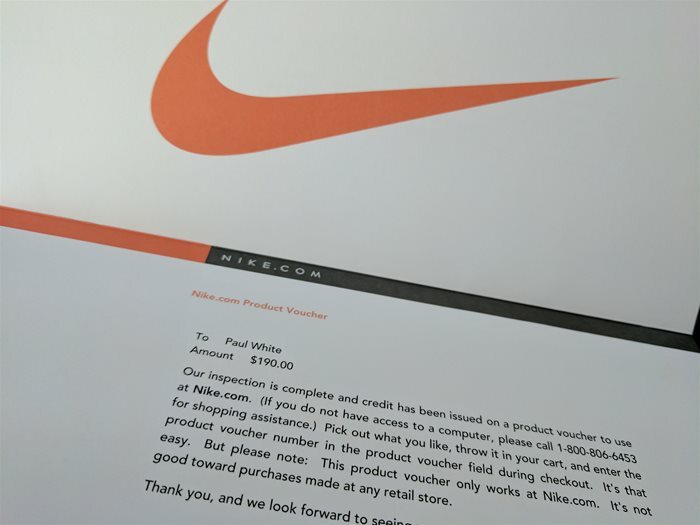 A few days later I got a card in the mail that included a code for $190 credit at Nike.com. 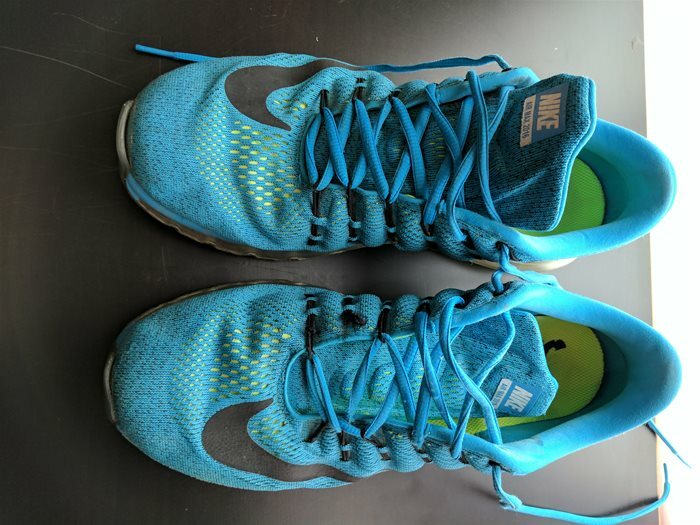 I still haven't bought a pair of shoes yet, as before sending off th bad pair I had already bought a pair of Nike Zooms ( which I feel are more comfortable than the Air Max Models ). However I am glad to know Nike stands by their products. This will keep me brand loyal for years to come.